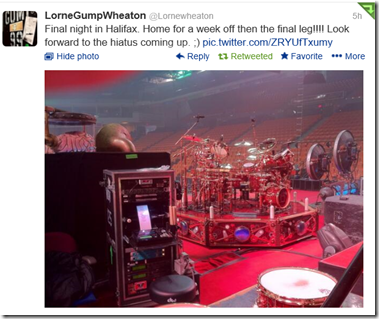 Tonight is the second night Rush is playing Halifax, NS, before a weeklong break. Here's a review of the first show from MetroNews. If you haven't visited Lorne's website, it's definitely worth checking out: LorneWheaton.com.